Drove by Manzanar on my way up to photograph the fall color of the Eastern Sierra Mountain Range, saw the giant guard tower and made a point of photographing it on the way back home to LA. The tower stands directly in front of the 14,389 foot Mt Williamson, making it California's second highest and the nations's sixth highest peak. 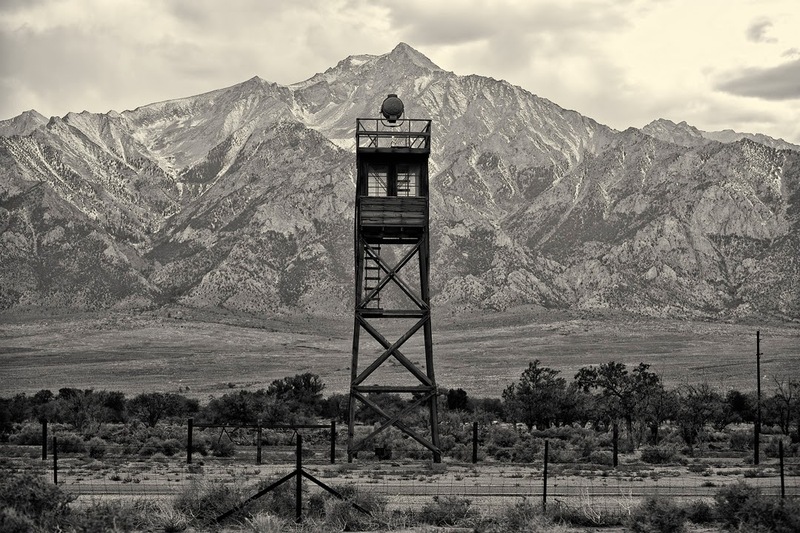 Both appeared formidable to me, and probably to those who where imprisoned at Manzanar during the Second World War. Got lucky as the sun broke through some hazy clouds and lit the top area of the craggy peak.